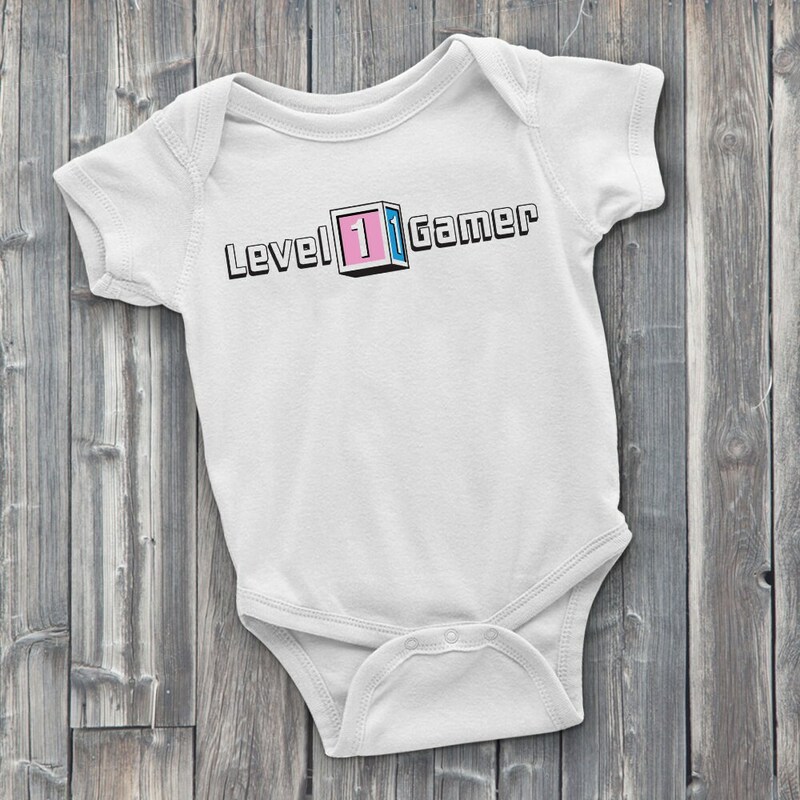 Your little one is just starting out making him or her a level 1 gamer! This adorable design will look so cute on your baby's ONESIE and will bring you a smile every time you see it. We hand press each 100% soft cotton bodysuit with high quality heat transfer vinyl, which is machine washable. Looks great on both girls and boys and comes in many sizes. 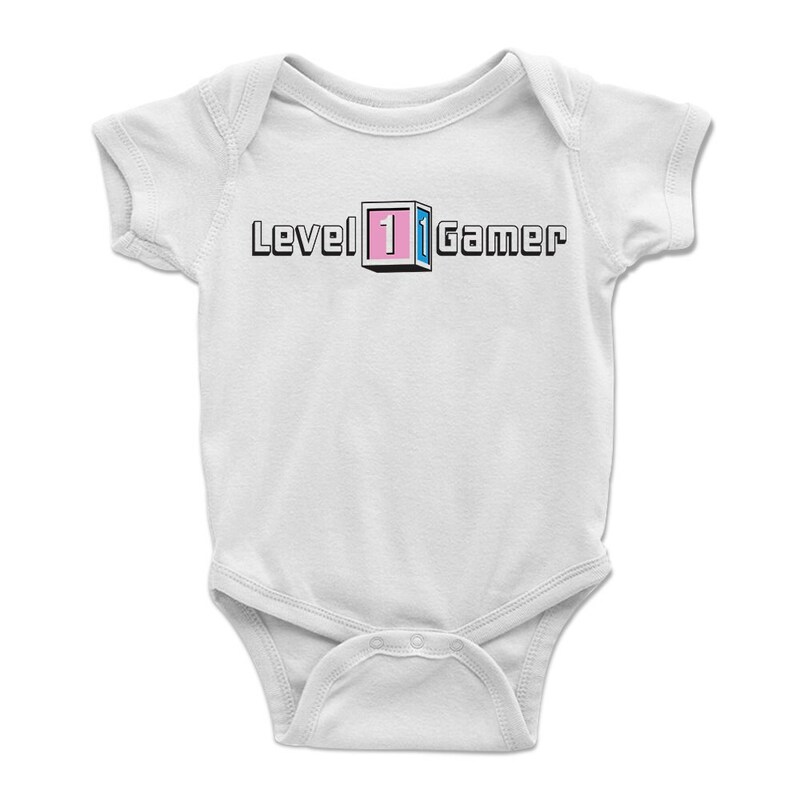 Get your baby started off right as a level 1 gamer baby! 0-3 Months | 8-12 lbs. | 21-24 in. 3-6 Months | 12-16 lbs. | 24-26 in. 6-9 Months | 16-20 lbs. | 26-28 in. Care Instructions: Machine wash ONESIES inside out, hang or lay out to dry. Please do not directly iron the vinyl design. *If you are unsure about size, we recommend sizing up. 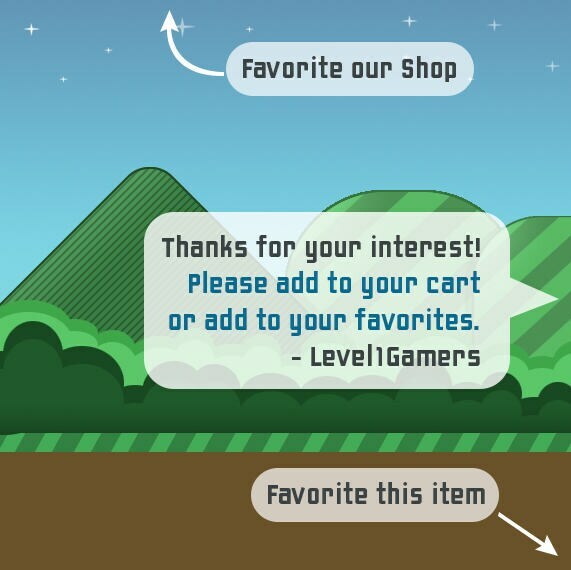 **Colors may appear slightly different from images due to different monitor settings.